A woman who identified herself as Jennifer sits with her son Jaydan at the Catholic Charities Humanitarian Respite Center after crossing the U.S.-Mexico border in McAllen, Texas. Public records show the migrant detention site proposed for Goodfellow will be built atop a former landfill, in an area riddled with lead, benzene and other chemicals particularly hazardous to children. 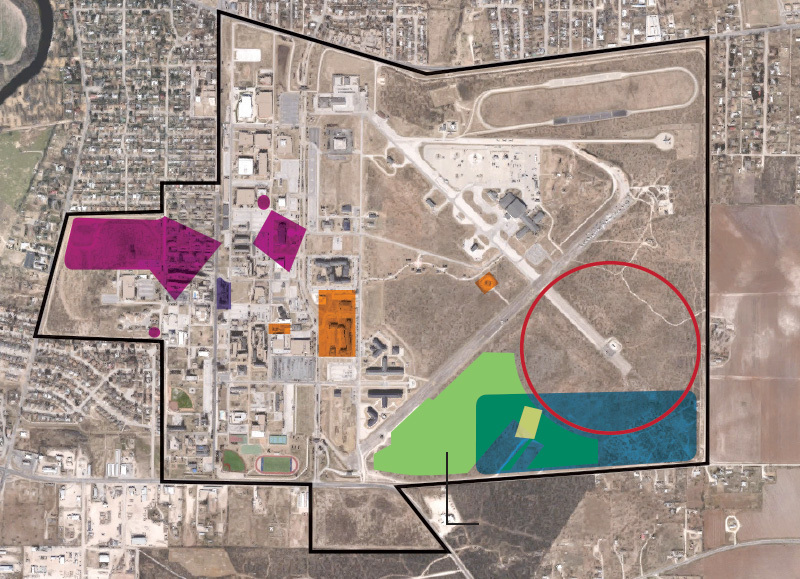 A migrant detention center for unaccompanied children planned for Goodfellow Air Force Base in San Angelo, Texas, is slated to be placed on top of Superfund sites. Earthjustice and its clients have for months sought documents that can shed light on the government’s publicly announced plans to build migrant detention centers in Goodfellow and Fort Bliss, both in Texas. The government refuses to comply with FOIA requests, and a lawsuit was filed against the government for its failure to release documents concerning Fort Bliss. Meanwhile, communities are protesting detention sites and caravans of migrant families fleeing violence in Central America and Mexico continue reaching the U.S.–Mexico border for asylum. Lead in the area was previously found at levels 27 times higher than U.S. Environmental Protection Agency’s standard for lead in soil for play areas. Lead in groundwater exceeds U.S. Environmental Protection Agency’s safety limit by over 20 percent. Nine locations near the site exhibit PFAS contamination. PFAS is a group of toxic chemicals that can hamper thyroid and immunological system function and increase one’s risk of cancer. VOCs found in the area include benzene, arsenic, and tetrachloroethylene at extremely high levels, making the area unsuitable for housing. Exposure to these vapors can cause nausea, headaches, trouble breathing, difficulty concentrating, and even death. Long-term exposure — even low levels — can cause damage to the nervous system, kidney, and liver. Did you find this resource informative?